This edition of our newsletter was written by Karen Conner. Karen is a member of the Board of Directors of Third Chance Ministries and a local kindergarten teacher. 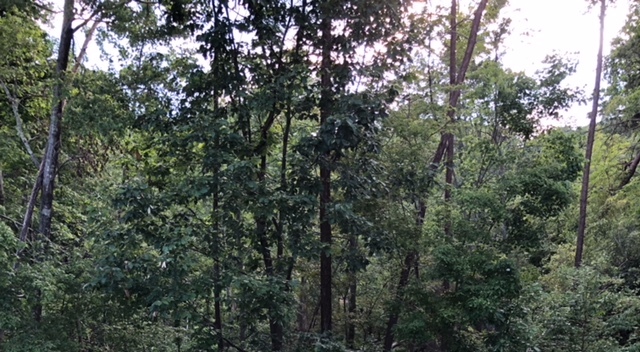 A tornado came through my backyard woods. Its visit was brief but quite productive. It destroyed a mountain bike trail that we had just finished building. Some of the trees were twisted off like chewed-up toothpicks after a sumptuous Sunday lunch. 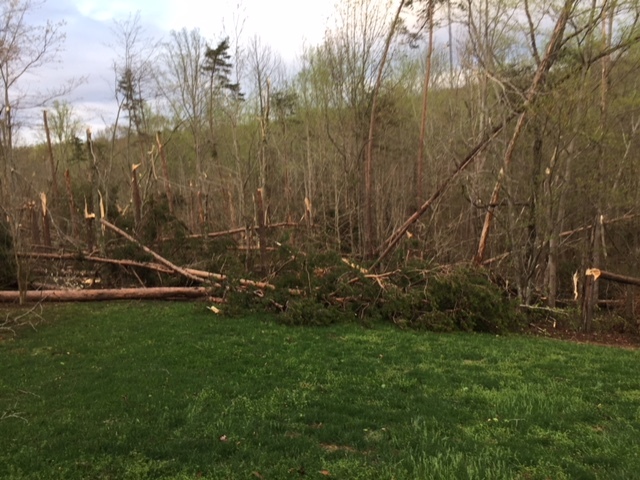 Some trees were uprooted and lying desperately on the ground as future firewood or lumber and some now lean like a tower in Pisa. The next strong storm could easily topple them. 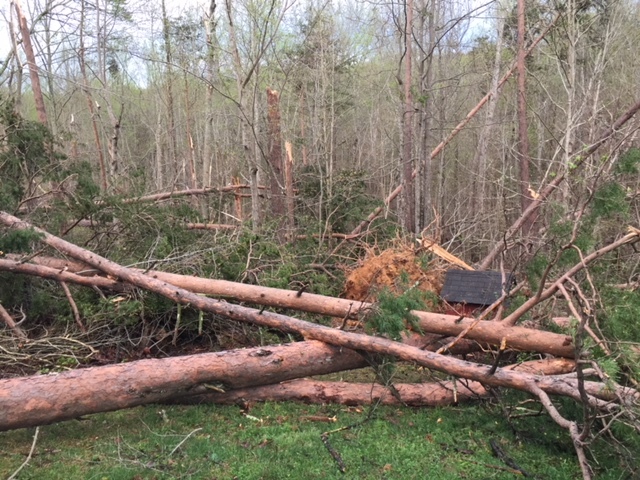 In its very brief appearance, this tornado made my backyard woods look like a war zone. But today, as I look out our back window, the trees stand in full foliage. The sun sparkles off the leaves and the trees in their various states of rest and unrest continue to provide shade and oxygen. With only a quick glance, you may not see the destruction. You may well be deceived by the beautiful, green foliage. Isn’t this so symbolic of life? Sometimes, we only take the time to notice how put together a person seems and how bright the foliage of their life appears. We don’t take the time to look deep in their eyes and notice the pain. Even if we do, though, we are quick to look away from the destruction and back to the foliage. We certainly don’t take the time for the uprooted ones, or the broken ones, or the ones chewed-up like a toothpick. We glance through life and we miss so much in the glancing. We glance at the disheveled man pushing a shopping cart down the street. Perhaps we note that the cart seems to be holding a number of his strange items that may be all his possessions. We may even discover in our glancing that his clothes show obvious wear from overuse. But we’re quick to turn our focus back on the foliage. To really study him, to consider how he came to be in this situation, to actually reach out to him, to know his name, to develop a relationship—well that would take more than a glance. It would take time and energy that most of us are not willing to depart from our busy lives. 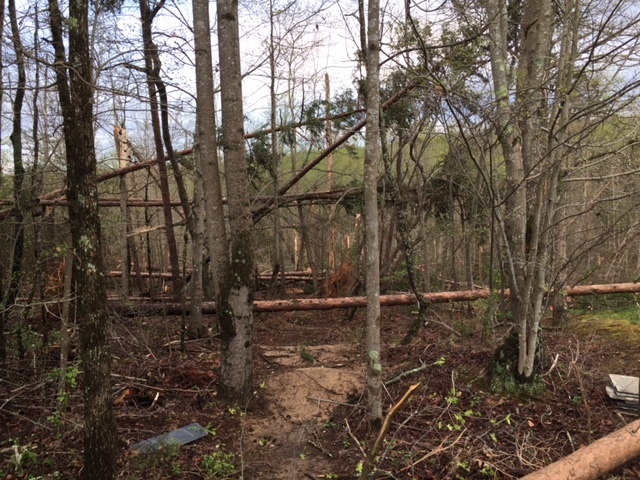 My family is committed to rebuilding the mountain bike trail destroyed by the tornado. We’ve had to spend some money obtaining the right tools to clear literally hundreds of trees from our property. It’s going to take time—a lot of time—and even more energy. There will be setbacks and difficulties figuring out how best to do this. We will definitely have to focus on the uprooted ones, the broken ones, the chewed-up ones, and those about to topple. We can’t afford to focus on the foliage and believe its lie that everything is okay. We can’t just glance our way through this work. It’s really not so different from the way we must know and care for those who are struggling in our cities and towns. It will be a huge undertaking to reach out to those who have been uprooted by tragedy, broken by circumstance, chewed-up by broken promises, and those about to topple. It will take time—a lot of time—and even more energy. There will be setbacks and difficulties. We will need the right tools: mercy, forgiveness, compassion, and grace. We will need lots of grace. We glance through life and we miss so much in the glancing, but I look forward to the day when we do more than glance and see the beauty that waits behind the foliage.